Without a doubt, one of the most annoying holiday expenses is paying for a checked bag on the aeroplane. You can be charged as much as £40 to put a bag in the hold, especially if you're flying with a budget airline. However, travelling with just hand luggage can be a real challenge, especially if you're spending a full week or two abroad. But last summer, my friends and I took this challenge on! We went to stay in Northern Ireland for a week and we had a fantastic time! 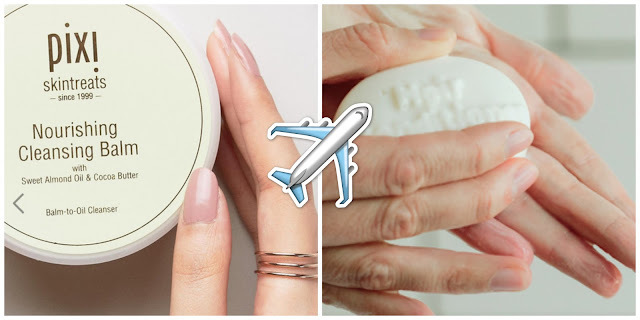 Today I thought I'd share with you the products and sneaky hacks that enabled me to get the most out of my hand luggage holiday! First on my list of essentials the foundation - you need the right bag. Maximise the amount of swag that you can squeeze in by using a bag that fits the hand luggage dimensions exactly. Usually these are 55cm x 45cm x 25cm, but check with your airline before you travel, as this can differ. The perfect bag needn't be expensive, however! 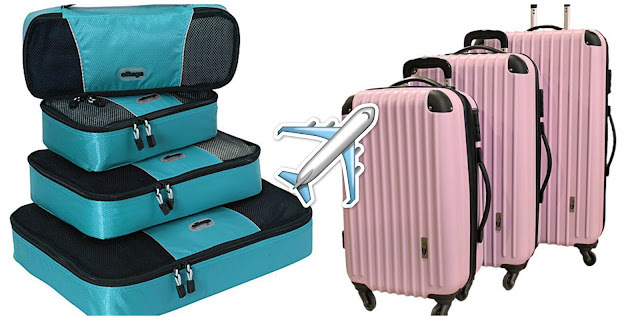 You can get lightweight, decent quality mini suitcases from Primark that will do the job! Pick a lightweight case with external pockets - that way you can stash your headphones and glossy magazine of choice in there for easy access, ready to keep you entertained on the flight. One of the biggest difficulties I faced when I was travelling with hand luggage only was definitely the limited amount of liquids that you can put in your carry-on. You can take onboard containers of up to 100ml, provided that their total amount does not exceed 1 litre. If you have an extensive makeup or skincare routine, choosing which products to sacrifice can be a nightmare. But not so if you switch out your usual liquid products for solid alternatives! LUSH and other cosmetic retailers offer solid conditioners, and you can even buy solid cleanser from Pixi on ASOS! The liquids rule shall trouble you no more with these sneaky alternatives! Another important tip is to downsize on your tech as much as possible. My bulky SLR camera takes up an enormous amount of room in my hand luggage, so much so that I had to leave it behind for my trip to Northern Ireland *sob*! Choosing a compact camera that still packs a punch in the image quality department is therefore a wise decision. Recently I've been eyeing up the Panasonic CSC Camera* - with 6k photo capacity and the world's first 4K video recording, all in one easily portable device, it's the travel blogger's dream come true! So if you're in the market for a new camera, why not check this baby out? Finally, something that I always ALWAYS forget to do before I go travelling, which takes up absolutely no space at all is to download some apps to play on during the inevitable long wait at the airport. The beauty of modern tech is that you can play a million different games on the same device without having to take along CD-ROMs or GameBoy cartridges (am I showing my age here??!). I'm an old-school board game lover, so one of my favourite apps is Yahtzee, which you can play by yourself or with your travel buddies. 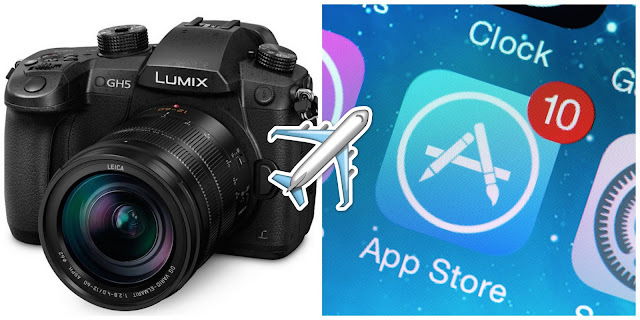 If you have any good game apps to recommend, please let me know in the comments below! 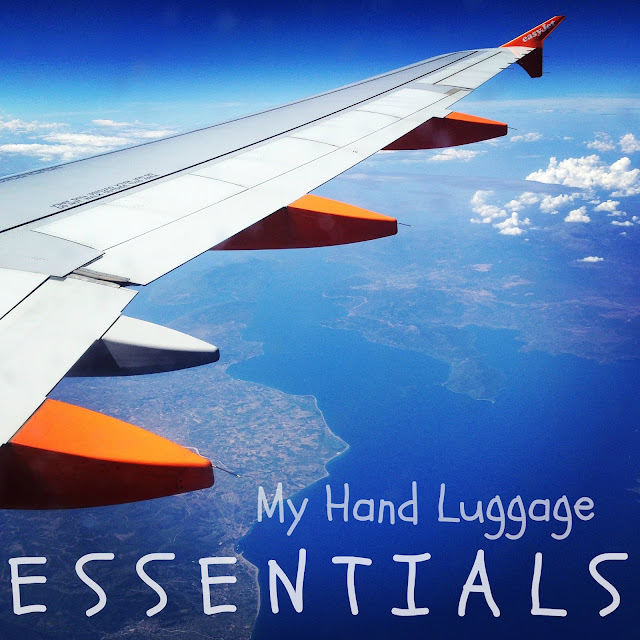 What are your hand luggage essentials? Do you have any packing hacks to share? Spill the beans in the comments!